Manual vs Electric Toothbrush- Which is better? Do you floss your teeth after brushing ? Sometimes I will floss if I am not in a hurry. No, flossing is a hassle. Makes my gums bleed too. Yes and no. I floss when I have time and no when I don't have the mood. Quick brushing does not mean that the plaque in between the teeth and bacteria in the mouth are removed while you chomp down your breakfast. Your teeth were briefly brushed once but the oral odor, bad breathe and plaques are still having a good time in your mouth. 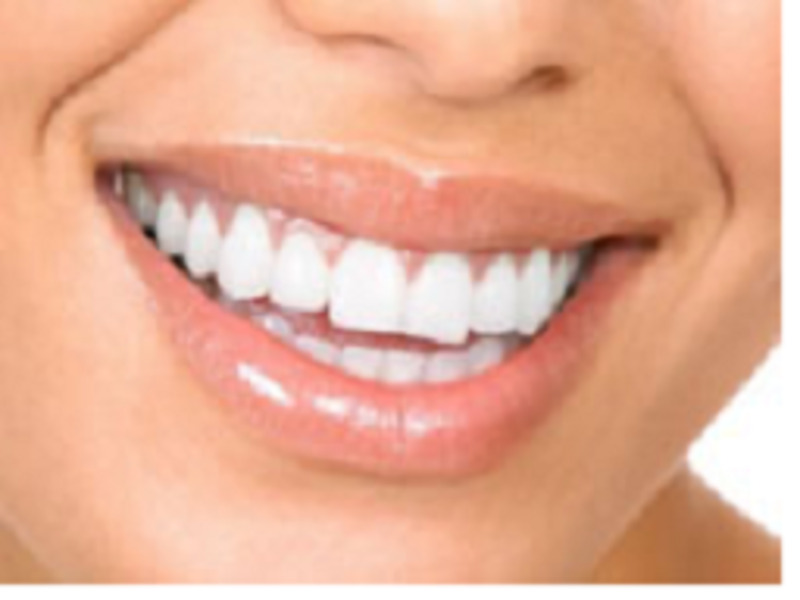 What gives your teeth the best brushing- manual or electric toothbrush? It depends entirely on how your tooth brushing is done; carefully and diligently or simply brushing all over the teeth with short brushing that can be done in just 5 seconds. Brushing your teeth the correct way may take you a longer time but it will ensure that all of your teeth are carefully cleaned, extracted all the excess food particles and allow the toothpaste fluoride to absorb into the teeth for extra protection from tooth decay or developing cavities. Every single item that we come into contact with on a daily basis has been designed by an artist. From the toothbrush we use in the morning, to the defibrillator that could save our lives, an artist is behind the design. Tooth brushing also requires the right toothbrush, soft bristle for sensitive gums, moderate bristle for comfortable brushing and hard bristle for getting rid of stubborn plaque and yellow stains on your teeth. When choosing a toothbrush, you may feel lost, which type is suitable for you as you cannot open up the sealed toothbrush package to test it out, right? There a vast array of choices to choose from manual toothbrush with various lengths, tendency of the bristle, toothbrush grip and color. In addition to it, there are quick and easy electric toothbrush for lazy consumers and young kids. Sill using your old toothbrush? A manual toothbrush is fine if you apply the right technique of brushing. Unfortunately, 10% of consumers know how to brush their teeth properly. Ask your dentist whether your method of brushing is right or wrong. You may be in for a surprise of his response. Light handle grip- Kids and old people have weaker arms and hands. Manual toothbrushes are usually light and designed with various handle grips to suit each person preference. Kids’ toothbrushes are usually designed smaller and thinner for easy handling as their hands are smaller than adults. Old folks prefer to use straight forward, old fashion toothbrush as they are used to them. Cheap and Various color or design- You can purchase manual toothbrush almost anywhere; convenience store, hypermarket, supermarket, even 7-eleven store that opens 24 hours a day. Manual toothbrush comes in various colors, designs, different handle grips, from soft to hard bristles and kids love those cartoon character toothbrushes with caps on. This helps to motivate the kids to enjoy brushing their teeth everyday as they can see their favorite cartoon toothbrush. Since you need to change toothbrush every 3 months, you might as well purchase bulk toothbrush or big saver toothbrush that usually offers 3 pieces for a low price with different colors. Our family buys Oral B because we like the comfortable handle grip and moderate bristles that suited our oral care. Exercise your wrist- By using a manual toothbrush, you will be moving your wrist left and right in a consistent movement. This mini exercise helps the muscle and bones in your wrist to move, less rigid while you lift your arms up and down as you change the brushing position. If you feel that manual toothbrush makes painful tooth brushing task or frequently suffering from gum bleeding or maybe you don’t have a lot of time because you are in a hurry, you may consider an electric toothbrush that can be a better alternative. One of the benefits of electric toothbrush is it can help you to produce white sparkling teeth in a couple of minutes, half the time of using a manual toothbrush. You can choose the speed of the bristles to brush your teeth, slow for old folks and kids as their teeth are still developing or weak, fast if you are in a hurry. The vibration of the electric toothbrush also helps you to massage your gums too. The electric toothbrush is specially designed to motivate kids to brush regularly everyday. They will find brushing teeth is fun and enjoyable task, getting the right habit of oral hygiene is important for the kids as their teeth are still growing. 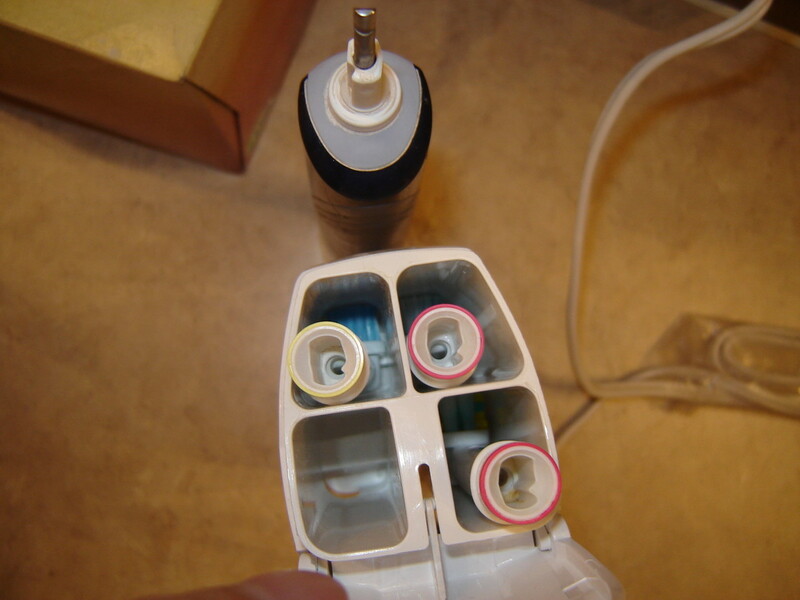 Furthermore, these electric toothbrush with small headed designs could perform very well in hard to reach area especially in the top and bottom molar teeth. If you brush too hard on your teeth, the motor cuts out, indicating that you are pressing too harsh on your gums and your teeth enamel may chip off too. Which is the correct way to clean your teeth? Whether you choose manual or electric toothbrush, correct method of brushing your teeth is vital in order to cut down cavities, plaque and gum diseases. 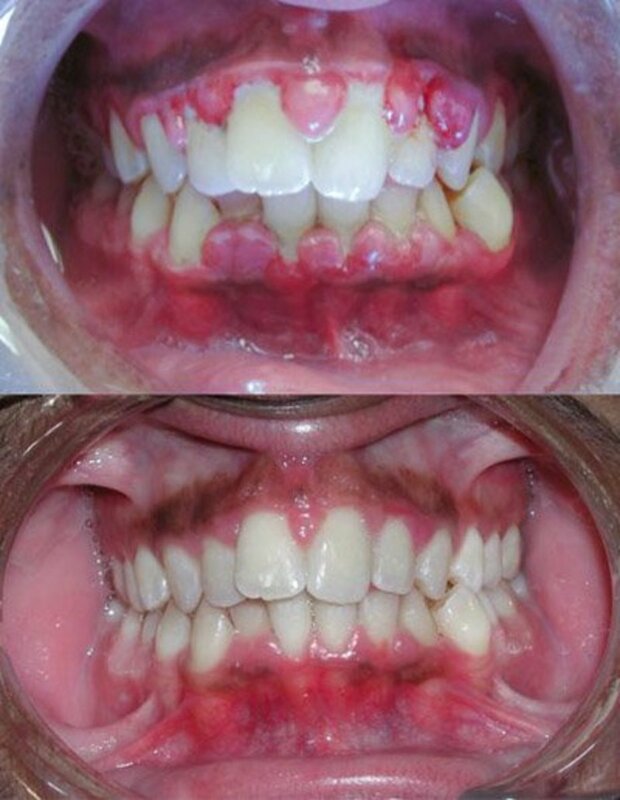 Brush in small circles starting from the incision teeth, not the two front teeth as we normally we do that! Brush with the bristles angled towards the gum at 45 degrees. 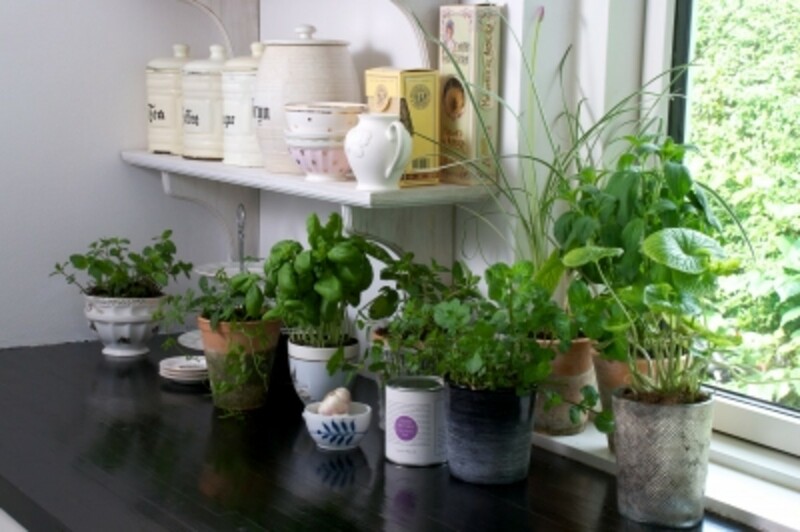 For tricky areas, keep the same angle but do a mini scrub back and forth. Watch the below video to understand more on how to properly brush your teeth. Expensive- There is a wide range of electric toothbrush from different brands. Price is expensive ranging also differs depending on the functions and where it is made. Locally manufactured ones are much cheaper than foreign countries toothbrush. However, no matter how you save, the cost of each electric toothbrush is equivalent of 60 manual toothbrushes. Needs to recharge- Yes, you need to recharge the electric toothbrush in order for it to work. If you had forgotten to recharge it and you are in a hurry, you would be cursing and swearing the morning. What do you expect? All electric appliances need to recharge before they could start working. In addition, it may take a few hours to recharge the motor before you could use it. Some branded electric toothbrush has the option to use rechargeable batteries for convenience. You need to buy spare batteries just in case the 1st batch are worn out of power. Heavy and inconvenient to carry- The electric toothbrush handle grip is too big for the kids to grab with their small palms. Battery compartment is usually located at the hand grip area which makes it heavier for the kids to hold on to the weight. Kids and elderly folks do not know how to recharge the electric toothbrush, had to depend on adults to do the recharging task. It is also in convenient to carry it around as it is much bigger and heavier. You have to bring the charger along if you intend to bring it during travelling. 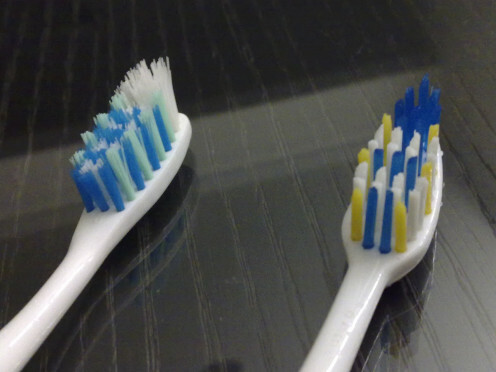 So, which toothbrush are you using now? Manual or electric? What brand do you use? Do you still floss your teeth after brushing. Do leave your comments. Would love to hear different people opinions. Do not be mistaken that crying does not mean that you are weak or a cry baby. Letting your tears flow freely helps you to feel better and improve your mood after a good cry. Eating the right food to live well is important for all people regardless of age. Eat natural food with essential nutrients for our body system to function well. How about the toothpaste? Is it related too? I started using a Sonicare years ago and saw a difference immediately. I'm sure I wasn't brushing my teeth properly with a manual brush though. Interesting hub about toothbrushes! 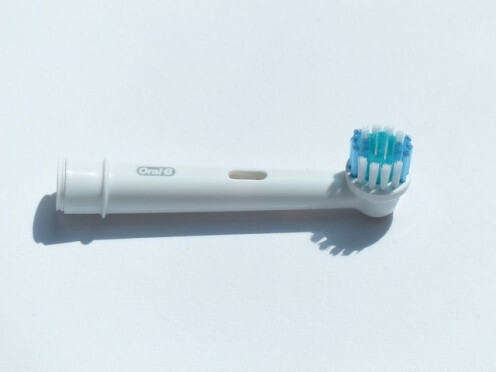 I haven't used an electric toothbrush but I would like to use it , after reading your hub! Sounds useful to me! In any case we can use both types simultaneously. Thanks for sharing this informative hub! https://hubpages.com/@caseymel, what brand did you bought? We just switched to electric toothbrushes and love it! I grew up using a manual brush and my whole family kept our toothbrushes too long before changing to a new one. Little did I know all the brushing in the world won't help with an old brush and the wrong technique. Now I use both an electric and a manual toothbrush. I try to brush better but there is always room for improvement. Thank you for the reminder to brush right and don't forget the tongue. I enjoyed your hub very much. Very imformative and helpful. Leaving me with the reminder brush, brush and brush. I switched to electric brushing a few years ago and it made ALL the difference. My maternal side of the family suffers from gum disease. You can use the electric vibration to massage your gums. Some of the newer models are even timed to buzz very 30 seconds so you know to move to the next quadrant of your mouth for a two minute total brushing time. Great christmas gift for the guy who has everything. I'm with kalinin1158 regarding fluoride - it calcifies the pineal gland...stay away from fluoride. I love electric toothbrushes, my teeth feel so much cleaner when I brush my teeth with one, than if I used a manual. Great hub, voted up, shared and more. This time I´m using a manual toothbrush but I think I have to buy a new electric toothbrush (my old one is no longer functioning) as I have the feelings that it is better than the manual one. Thanks for reminding me to buy electric toothbrush. Voted this up, useful and shared. Enjoy your Sunday! Initially I was against electric toothbrush. I just didn't like that feeling of vibration on my teeth, reminded me of drilling :/ But after switching briefly to a regular brush, I've noticed that my mouth just doesn't feel as clean as when I use electric brush. So I'm back to battery-operated devices ;) I also make sure to only use fluoride-free toothpaste: fluoride is an IQ-lowering chemical and it does nothing to prevent tooth decay. Great hub, voted up! Hi Peachy, I still like the electric one, I think it does a better job of removing plaque. I too would prefer the electronic toothbrush, especially for the kids, but the cost is a real burden. Quite a useful hub you have here by the way. Well years ago I had gotten a recharger because I used them. That was years ago. Today I am low on cash and cannot afford the price of rechargable batteries so I just use cheap regulars and look at a charger sitting there. So it depends on what your budget can afford. The rechargables cost more and need a charger (one time purchase) but they last longer since you can use them several times. WalMart has a 4-pack of Energizer AA rechargables for $15.99; and regular AA Energizer 34-pack for $18.97. So it is up to you and your budget. oic, but which type? rechargeable or normal AAA batteries? Depends on the toothbrush functions? Free gifts usually have very cheap batteries that run right out. Buy better batteries. I keep the base of the toothbrush, and I can get three replacement heads on sale for about sixteen dollars. These three heads will last me about a year. It is more pricey than buying three manual ones, but I just feel I do a better job with the Oral B brush. I have some hard to reach areas in my mouth, but in all honesty I am just used to the electric brush. Most dentists say manual tooth brushes are really good, but the electric one can be a fun way to motivate you to brush if it is not your favorite thing to do. I like my electric toothbrush. I feel like I still brush for the same amount of time and my teeth get a better cleaning. Perhaps I am wrong since I have never used one but there are things similar to that where you start with extra spare pieces and order extras later on. The main part is standard. Maybe yours is too cheap or too expensive. oh really? Why the one I bought ( last time ) doesn't comes with spare brush parts? I threw off the whole thing ! Bummer ! I thought that they only replaced the brush parts which you insert. Two or more in a bag. i use manual because electric is too expensive for me. Having to change toothbrush every 6 months, can you afford to change your electric toothbrush too in every six months? great hub with very useful information. Don't forget that you throw away your toothbrush every 90 days or so and that for me i feel i get a better clean with my manual toothbrush and then use my electric to go over it afterwards. Oh and to make your hub that even more perfect. You have the bullet points that says: "Watch the below video to understand more on how to properly brush your teeth." When the video is above it. Voted up. Great hub with useful information. I have always wanted to try out an electric toothbrush. Thank you for showing me the advantages of using one. Wishing you a wonderful weekend. I have been using an electric toothbrush since 1994 when my dentist converted me, so I guess I am a little bias. 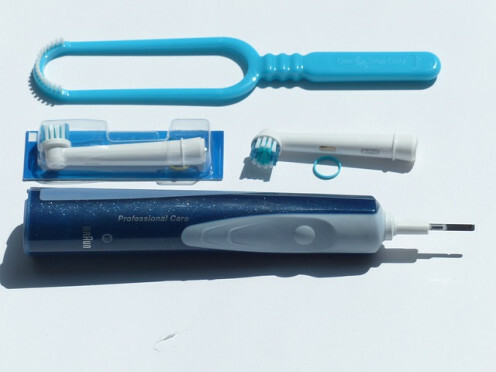 However, I like the simple Oral B one over the fancy Braun sonic care one I had years ago. I got my electric tooth brush on sale, so it was not too bad. I actually have both and use both. Most of the time it is the electric one. I just feel my teeth and gums and tongue are cleaner. Thanks for this article, I have mild gum disease so I was recommended an electric toothbrush, I just find it a pain to get the right brush heads for replacement. I have to admit I probably am in the 90% that doesn't know how to brush properly ! Thanks for the information. I have bookmarked the page to let my young daughter know about this post. That was a helpful article Peachy. I had wondered about whether I should be using an electric t-brush, I use a manual but I guess that you figured that out. I seem to be brushing the way that they said in the video. I only floss when I do not get something with the brushing and I have the time to floss. I replace the brush when they said. I use about medium bristles with a hard plastic cover and keep it in the t-paste box. I voted up, shared, pinned and put it on FB. thanks for the detail information, I get it now. I occasionally do not floss if it is really late and I am tired, but most days I do it after brushing. I still use a manual toothbrush. Good hub! You're right Barbara. I had a dental appointment since posting and I've been corrected by my dentist however, even he acknowledged a water pik would be the only way to get between two of my teeth because they're so tightly fit. The floss always breaks and even when I use flossers it's odd, one day it's easier to floss than the next. It's like a couple of my teeth actually have an uncooperative mind of their own. It's not a major issue, just very irritating. I have been purchasing a cheaper Oral B electric toothbrush. It doesn't have all these fancy features. It has one speed only, but seems to be doing the job. I use a Water Pic too, but my dental hygienist says it doesn't replace flossing. Taking care of my teeth has become quite the job. Water pik? What is that? This is a very useful hub. I prefer my electric toothbrush and may get a water pik as well. I have both kinds, and use both. I use to tell my boys (2), "you don't have to brush them all, just the ones you want to keep. Interesting article and voted that way. Blessings and hugs and Happy New Year. I use an electric toothbrush, but it is a lightweight one which can't be recharged so must be replaced when the battery dies. It does cost more, but I think it's worth it. Thanks for an interesting hub, to get me to thinking about the subject. Strictly manual for me. I've tried the electric thing a couple of times, over the years... but never really quite got the point. I like to have the control, myself, I suppose!! An electronic toothbrush leaves your teeth feeling smoother. 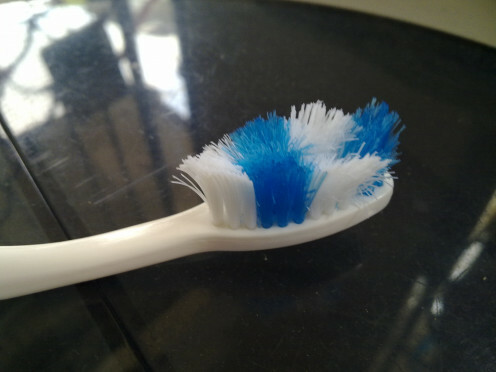 Some electronic brushes will also let you know when you have brushed long enough to ensure that you teeth are really clean. I love them! In all honesty, I probably don't pay nearly enough attention to brushing or flossing my teeth. Thank you for reminding me that I need to take better care of my teeth... and maybe get an electric toothbrush! I like the manual ones. Very well written hub. Thanks for sharing. Thanks for sharing. I had to read this as I switched to an electric toothbrush about a year ago and I feel my teeth get cleaner because I have. I like mine which was not horribly expensive for a number of reasons. One of them is the bristles are just perfect, not to soft not to harsh, so it entices me to use it longer. 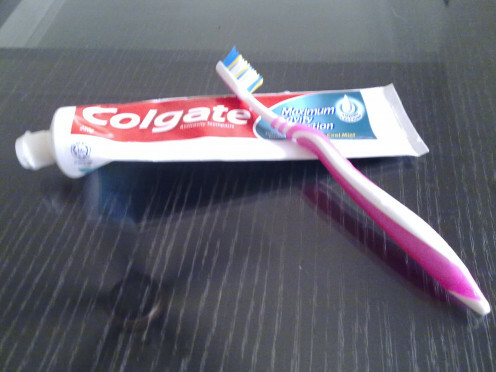 Another reason is it is really not much heavier than my regular toothbrush. Manual is still the best! Thanks for dropping by. Yeah, I am stuck with manual too. Such a well presented hub ; as for toothbrushes I have never used an electric one but can see the positives of both. Enjoy your day.